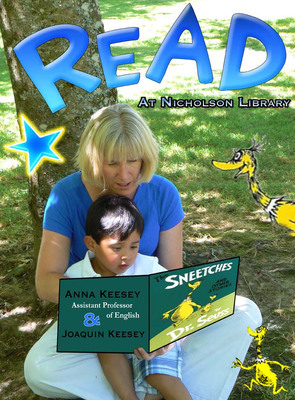 Anna Keesey, Assistant Professor of English, with son Joaquin, reading The Sneetches and Other Stories, by Dr. Seuss. Terry, Paula and Nicholson Library Staff, "Anna Keesey READ Poster" (2010). READ Poster Gallery. Image. Submission 65.